Hello friends. As you saw in a previous post, 2017 was actually pretty decent for me, despite the dire state of world affairs. I did a lot of interesting things, travelled via most known modes of transportation (sorry, no horses), and most importantly, I found love. Yeah, I say this one every year, don’t I? 😉 I get plenty of bike commuting in (my daily commute averages between 6 and 12 miles round-trip, depending where I am the night previous), but need to do more “just” riding. I’d also like to do some longer rides again, as I’ve definitely lacked that in 2017. I’m not saying that shorter rides are somehow bad, but I want to get distance in again. 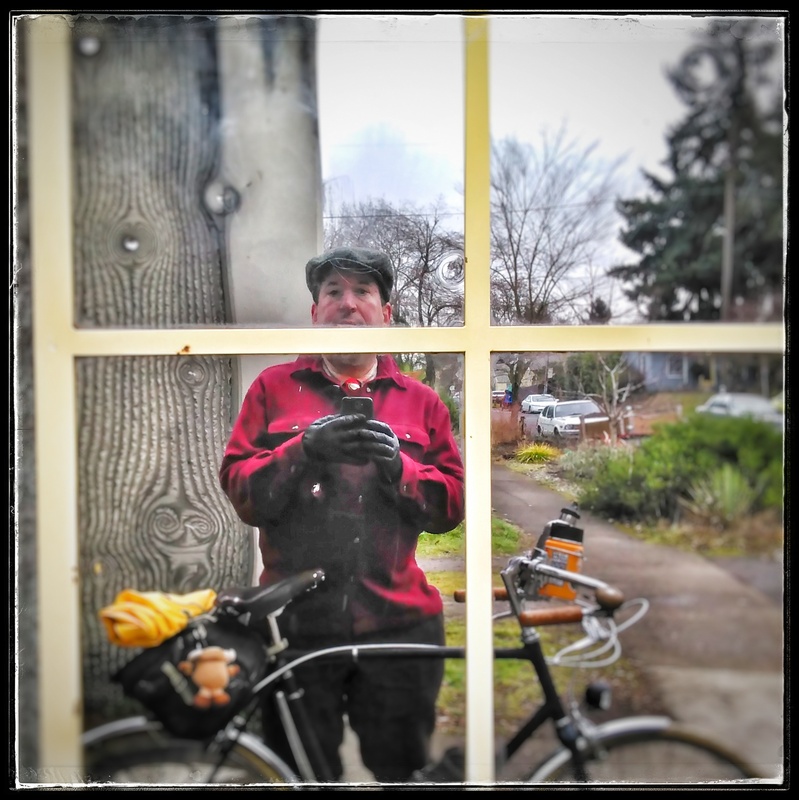 I’m pondering heading up to Seattle for their inaugural 100 K brevet (randonneur ride) for the season. I haven’t done any randonneuring in five years, mostly because I find the local organization (Oregon Randonneurs) unappealing. However, Seattle Randonneurs seems to be a better club, with well organized rides (food provided!) that originate and terminate within the city itself, vs a far-flung suburb which is usually the case with Oregon. Another one of my perennial repeated goals. I did a decent amount of bike camping in 2017 (eight out of the twelve months), had a couple mini-tours (both to or from the coast) and a week long tour towards Eastern Oregon. My late summer tour didn’t happen due to a number of factors. I really would like to do more exploring in Eastern and Southern Oregon, and there’s scads more touring possibilities in Washington too. Also, I’d like to do some bike camping and maybe a short tour with Emee. She hasn’t toured before, so I’m thinking of a few rail-trail heavy locales for a good tour. Now this doesn’t mean I’m going to stop blogging or using social media, or (heavens forbid!) stop using a smartphone. No, I just need to do more things again that don’t rely so heavily on the internet. For example, read actual books. I have a stack of library books sitting by my bed that I’ve barely cracked open, yet I’m going to read “sometime” so I keep on renewing…until I reach the renewal limit. And while I love the ease of a smartphone camera, I’m thinking of getting into actual film at some point. I never was much of a photographer before I owned a digital camera, though I had hopes at one time. About 20 years ago I put a down payment on an SLR that I never picked up because I was too broke to complete the payment. * (This was partially due to my car insurance rate doubling because I leased a car, and I was too dumb to know that would happen.) Now I’m not going to plunk down for a fancy SLR, but with the ease of buying used gear (see? Internet is good for some things. 😉 ) I know I can find something. On the positive, I still listen to terrestrial radio (including shortwave), have an analog face watch, and write letters and postcards to people, so that accounts for something, right? Yet another repeatedly stated goal! But let’s face it: This year was bad. I don’t think I drew much outside of the postcards I send out or for the Pedalpalooza ad. And now I don’t have a regular outlet for comix since Bicycle Times folded. But doing Bike Craft in December and the renewed interest in my artistic goods since I published NEW OLD STOCK 2.125 in December makes me want to rekindle my artist side. If anything, it would be nice to see another NEW OLD STOCK come out by year’s end. Getting a few paying illustration gigs and maybe even a regular comic in another publication wouldn’t be bad, either. I really enjoyed my backpacking adventure to Indian Heaven Wilderness in August. I wanted to do another one before the year ended, but all the fires meant it wasn’t going to happen. At the bare minimum, I’d like to get another overnight in, maybe two trips. And it’d be cool to try a three day (two overnights) trip somewhere. This area is so flush with opportunities! One thing I’d like to try out is kayaking. 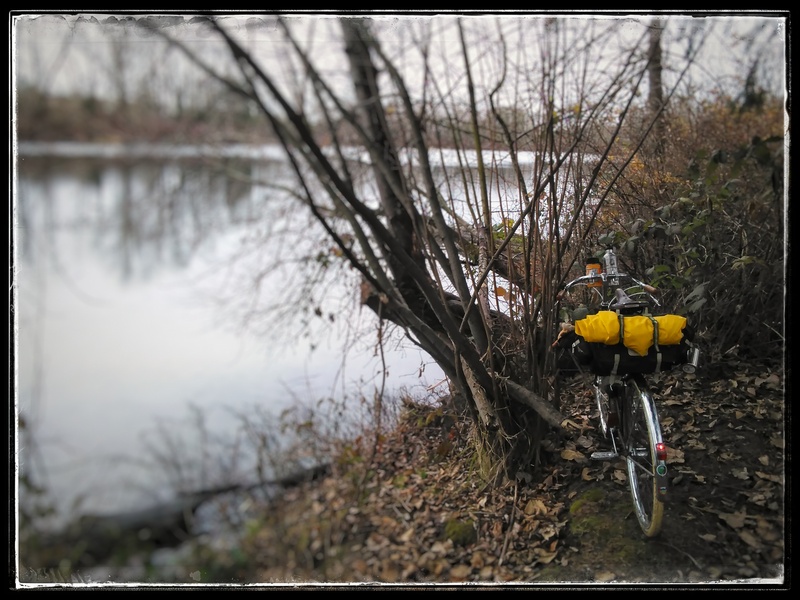 Biking and hiking are two great ways of human-powered exploration, but I’d also like to explore things via water. Maybe I can get in a trip this year? I created the Cycle Touring Primer ten years ago in conjunction with a touring workshop Ian Stude and I led. Most workshops may come with a printed outline, why not go a step further and make a zine? (Especially since I like zines!) So the primer was born. But, while there is still plenty of good info in there, I’ve learned a lot more about touring since then. There’s nothing cringeworthy in there (not like some of my old comix), but it was heavily from a heavily-laden perspective. I’d like to revise and expand it and add more and different topics in it. I’ve been itching to do changes to it for awhile, but other projects got in the way. Now is the time! I admit it: I eat out too much. This is partially due to me splitting time between work and two houses, and part of it because I don’t grocery shop as much (or as big) as I should. And all that eating out hits the pocketbook! So, I want to eat in more often this year, including at work where it’s easy to go down the street to grab something for lunch. My work has a full kitchen, so no excuses! This definitely ties in to eating in. While I make okay money, I have not a lot left over when the month is done. I’ve spent a lot on food, beer, and bike stuff lately, and that’s got to change. Thankfully it seems like my roster of bike projects is wrapping up soon, so barring anything breaking all I’ll need to worry about with my bikes is maintenance and upkeep. Nothing big and expensive looming on the horizon, either. One positive in my financial department is that I’ve been repairing my credit. After 20 years of bad credit, this past year I got a couple of new credit cards. I’ve been fastidious about payment, not leaving a balance at the end of the billing cycle. I don’t intend to take out any loans any time soon, nor spend more than I can afford, but it’s nice to know I have a cushion just in case. I’m 42 and not getting any younger. I enjoy beer a bit too much, and I don’t think it necessarily enjoys me. I haven’t been to a regular doctor in god-knows-when, and I know that’s not good! And I’ve definitely been feeling the effects of not riding as much this winter. I also tend to stress out about things, so I need to figure out balance there. The big thing I need to do is: Listen more to my body. It’s easy for me to overdo, and as the years go by, my “bouncing back” isn’t as fast as it used to be. I need to tune in what my needs are, and know when to stop. Okay, thanks for reading this far! Next time, I’m going to talk about some bike and travel specific plans I have in store for 2018. *Ah, layaway. What a novel concept! Previous postPalm Tree Ride returns! Sunday January 21st. Hey, let me know if you DO decide you want to go to seattle for any randonnees. I also would like to do more longer rides again but also haven’t been so into the OR Rando scene, and like many things, long rides that are slightly logistically difficult (i.e. going to Seattle) are often easier and more fun with a buddy going.